How to Maintain Good Credit During Divorce | Queens Divorce and Family Law Attorney - Divorce/Family Lawyer in Queens - Bruce Feinstein, Esq. The study’s results come from associate sociology professor Julie Brines and doctoral candidate Brian Serafini. They unearthed measurable evidence that filing for divorce follows biannual, seasonal patterns. Their research covered filings between 2001 and 2015, and “found that they consistently peaked in March and August, the periods following winter and summer holidays.” This may sound strange, but further inspection sheds some light on these results: the peaks correspond with times after major family holidays, which couples may find off-limits when it comes to divorcing. Couples often also look to summer and winter holidays as a time for possible reconciliation. Now, we certainly can’t control when a client decides to file for divorce, but our office can empower them with information about keeping their finances and credit scores safe during this difficult period. 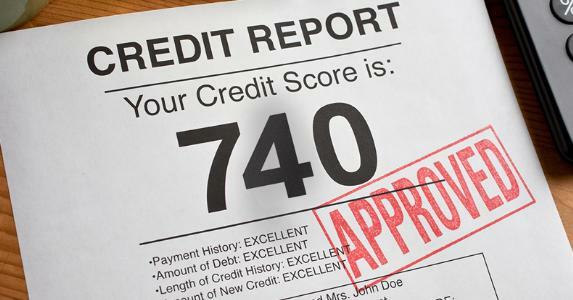 First of all, it’s important to pull credit reports from the major reporting agencies. Check the information in these reports for any errors, no matter how big or small. Inconsistencies can range from a wrong address to a paid debt that shows as still outstanding. People find out they have joint accounts they forgot about, or that a spouse put them on an account in their name without telling them, so having the most up to date information is essential. Call an agency to report any errors immediately. Second, do not open any new lines of credit before filing for divorce. This can affect not only your own credit score, but that of your spouse. Missing payments or defaulting on a loan will not only hurt you and your spouse, but it can end up making the divorce process more complicated. There is also an emotional factor at play – taking on more debt like credit cards during divorce can heighten feelings of anxiety, regret, and anger between spouses. Third and finally, we suggest making a brand new budget in order to properly manage your funds and your credit. Financial changes after a divorce can have a huge impact on your finances. Life after divorce may mean alimony, child support, and living on one income instead of two. This new set of finances needs a new plan to manage it; by setting up a new budget to reflect these changes, you and your ex-spouse are able to enter this new chapter in your lives lives both emotionally and financially.